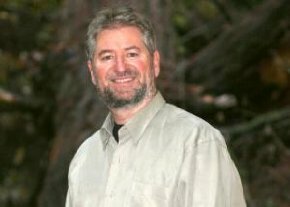 Co-founder of the Collective Wisdom Initiative, Alan Briskin is an organizational consultant, artist, and researcher. His co-authored book, The Power of Collective Wisdom, won the 2010 Nautilus Award in the category of business and leadership. One of his other books, Daily Miracles: Stories and Practices of Humanity and Excellence in Health Care, written with Jan Boller, was chosen as the 2007 Book of the Year by the American Journal of Nursing in the area of public interest and creative works. Briskin, honored by Saybrook University as its 1997 Noted Humanist Scholar, is a leading voice in the field of organizational learning and development. In 1971, he was part of an international community in Israel, founded on the principals of the communal kibbutz. As an educator, he helped in the start up and development of an alternative school in Maine (1973) and was the first Director of Education for the Vermont group home that became the model program for deinstitutionalization of confined youth (1978). His interest in alternative educational settings continued for over 10 years (1995 – 2005) while he served as the principal consultant to the George Lucas Educational Foundation. Briskin’s work with human potential and organizational learning continued as a specialist in prison reform and health care. He was the first person to research emerging theories of moral development with prison inmates and led a model program aiding inmates to bridge the chasm between cell block and useful employment. As a health care consultant in the mid 1990’s, he helped design programs for practicing physicians to deepen their communication skills with patients. He is a founding member of the Relationship Centered Care Network. Briskin has been invited to speak on his work throughout the United States, as well as in Canada, England, Japan, and South Africa. He has a doctorate from the Wright Institute in Berkeley, CA and is a Professional Associate of the Grubb Institute in London. His love of photography opened his inner eye to the beauty that enfolds us. Briskin lives in Oakland, CA. Morris: Before discussing The Power of Collective Wisdom, a book you co-authored with Sheryl Erickson, John Ott, and Tom Callanan, a few general questions. First, when and why was the Collective Wisdom Initiative founded? Briskin: It was founded in 1991 and funded by the philanthropic organization, the Fetzer Institute, after research we conducted demonstrated a growing network of scholars and practitioners interested in the question of group practices leading to creative breakthroughs and transformative change. Our initial task was threefold: to enable this diverse global group to see and connect with each other, to help each other gain access to useful ideas, and to notice patterns and make visible this growing network of people and ideas. On our website, two years before Facebook began, we posted photos and personal profiles of each of our network members. We also commissioned original papers from scholars and practitioners, asking them to write about a topic they themselves were wrestling with, ideas still emerging in their own personal and intellectual life. We had tremendous diversity, ranging from a physicist who worked with the Dalai Lama writing about love and community to a Jungian scholar writing about the ecstatic darkness in groups. Morris: Years ago, you became centrally involved with the education of children, first in Israel and then in New England (Maine and Vermont). Please explain your interest in alternative educational settings. Briskin: Well I had a wild idea that educational settings were places where learning could happen. My interest in alternative learning began in the late 1960’s when I read about a small program in the South Bronx that successfully worked with high school dropouts. The curriculum was based on their personal life experience and it made me realize the importance of learning as something personal, something to be experienced, something to get excited about. For those who watched the movie Precious, the alternative school the main character went to had that quality. It was messy, at times chaotic, but the kids knew someone cared about them and knew an adult believed in their potential. And they also learned from each other. Morris: Please explain what the George Lucas Educational Foundation is and does. Also, when and why did you first become involved with it? Briskin: One of the things I appreciated about the George Lucas Educational Foundation was that it was not set up as a traditional charitable foundation. Rather, it seemed to be driven by a series of evolving questions. How do kids best learn? How will changing technology and the digital age affect learning and learning institutions? What is already happening in public education that deserves our attention and support? My role as a consultant was to support both group execution and strategic vision. Lucas had a vision of giving educators, politicians, parents, and school administrators “swords” that would aid them in cutting through the bureaucracy, specialization, and stupefying language that creeps into discussions about learning. The Foundation did this by becoming a media hub for storytelling about what was working in public education and hired a full time documentary filmmaker to showcase these model programs. Morris: Please explain what the Relationship Centered Care Network is and does. What are the nature and extent of your association with it? Briskin: This was another example of the power of partnerships, collective networks, and inspired conversations. Provoked by fundamental questions such as “where is the care in Healthcare?” and “how might compassion and clinical excellence be joined?” the Pew Health Professions Commission and the Fetzer Institute joined forces to promote an integrated model of care. In 1994, they published a report that emphasized the primacy of relationships – between caregiver and patient and family, among practitioners, and between practitioners and their community. And then in 1996, they convened six separate groups of twenty-five or so people in diverse areas of health care. We met in Kalamazoo, Michigan – where Fetzer is located. And we talked, told stories, and addressed questions about illness and transformation. It was eye opening and emotionally engaging and celebratory – we were simultaneously learning from each other and learning about how health care could be transformed. Later we began having annual conferences for the combined groups and other interested professionals and eventually over 1,000 people were in the network. My book, Daily Miracles, written with stories drawn from dialogues with nurses at a community hospital over a two year period was a direct result of this experience. Briskin: What Senge does so well is that he challenges basic assumptions and misconceptions that often go unchallenged in the business community. The first is that wisdom is not developable, as if it’s a matter of luck or personality or genetics. Well it’s just not the case. Wisdom involves our accumulated knowledge about a subject but also a reverence for life, for an understanding that our immediate actions have long-term consequences, and for an appreciation that there are different ways of knowing and understanding situations. When I talked about the Relationship Centered Network, I was speaking about a group developing wisdom. And we do this by joining contemplative practices such as the use of silence, prayer, and consideration of a higher purpose in life with dialogic practices which engage us with others – making us consider differences and allowing us to find what is common among us. Developing wisdom in community is to constantly learn and relearn that expedience in the short term – whether for efficiency or profitability – can lead to disasters in the long term in financial, ecological, political, social, and spiritual spheres. Briskin: He is addressing a basic misunderstanding that wisdom is only about individuals. We often associate wisdom with individuals – the ancient figure of Solomon or great leaders such as Lincoln, Gandhi, King, and Mandela. But Senge is pointing out that is misleading for two reasons. First is that these leaders are known precisely for their ability to catalyze and mobilize the wisdom of large groups of people, often in times of great conflict and conflicting viewpoints. Second, the focus on the individual misses the point that it is in partnerships, small groups, and communities of shared goals that anything of lasting value is created. The group is the fuel for completing tasks and getting things done. And people in groups can accomplish almost anything when they feel connection to a higher purpose and an understanding of how their individual actions affect each other and the larger whole. Briskin: This was personally very important for me. Collective wisdom is too often dismissed as a “feel good” concept or used as an expression for insights that can occur in well run groups. But this misses the larger point that wisdom is also about sound judgment, not just consensus, insight, or simple agreement. Wisdom in groups is earned by gathering useful data, exploring diverse perspectives, respecting different viewpoints, and then shaped through critical reflection on behalf of tangible outcomes. We show this in the book through stories ranging from indigenous people basing decisions on the seventh generation forward to the creation of the United States Constitution by a cantankerous group of people coming together in Philadelphia – not even knowing that a new Constitution was needed. Collective wisdom is about our capacity to recognize interdependence and to make decisions demonstrating that we have a stake in each other, that we can indeed care for each other and the physical planet we share. Morris: Finally, Senge asserts that “what matters most today is not only to clarify what wisdom is and why it matters, but to understand how to go about developing collective wisdom.” Here are two separate but related questions. First, in your opinion, what is “wisdom” and why does it matter? For example, what are the qualities associated with experiencing it? Now my follow-up question: How best to develop collective wisdom? Briskin: Let me tell a story. Shortly after 9/11, when most of us were in some form of shock, Bruce Springsteen performed a version of “We Shall Overcome” on national news broadcast. The recording was later repeated in a number of different settings including to baseball fans at Mets and Yankees games. A producer for the original broadcast described the song as “so plaintive, so stirring, so terribly terribly evocative” that it appeared to enable groups to enter a deeper level of reflection, crystallizing their sadness and summoning up hope. In short, these are the same qualities associated with collective wisdom – the ability to enter a meditative state and reflect more deeply, the facility to crystallize our emotional reality and relate it to our particular circumstances, and the capacity to summon up hope. This is what wisdom provides – a larger perspective, an emotional safety net, and ability for discernment. And to do this collectively is the next evolutionary step for human beings – facing the threat of killing each other off or destroying the planet’s live giving biosphere. There is now a motive for developing collective wisdom never before existing in the history of the human species. We are now more conscious of how interconnected we are and how our actions impact the whole. How best to develop collective wisdom is also suggested by this story. There are trigger points in the human psyche that invite us into different states of awareness and emotional reality. Historically, the power of nature and living in natural settings provided access to this deeper reflective capacity. So too has artistic expression, whether in the form of ancient cave painting, theatrical performances or the music of Bruce Springsteen. So too has silence. What matters is the capacity to evoke strong feelings, to quiet the mind, and to move us into a new place – often experienced at first as unfamiliar. In our initial research, we kept hearing again and again about the joy and surprise of people in groups encountering the unexpected – including odd coincidences, transcendent insights, and states of group flow. We best develop collective wisdom by reminding ourselves that something worthwhile is at stake and that we need each other to accomplish it. Recently I was in a regional office of Habitat for Humanity and one of the senior officers described to me what it was like to be on a build site where volunteers of every age and profession shared their sweat with the eventual owners of the home. Tears welled up in her eyes as she told the story and tears welled up in mine. Collective wisdom is born from such positive emotions, specifically four positive emotions identified by the Institute of HeartMath and others – appreciation, non-judgment, caring, and forgiveness. Morris: For those who have not as yet read the book, six “stances” are identified and discussed in Chapter 2 “that can deepen our capacity for wise action and prepare us for collective wisdom to arise.” By what process does that emergence occur? Briskin: The six stances speak directly to the question of developing collective wisdom in groups. As the reader may have already perceived, collective wisdom is not something that can be willed into existence or controlled by single individuals. Wisdom in groups emerges as a product of commitments we make with ourselves and to each other. These stances are not abstract rules but tangible practices that must be renewed each time we are in groups. They are essentially commitments and attitudes that foster collaboration and positive collective action. The first stance is Deep Listening. This is actually the opposite of what many people think is most important in groups – which is talking. Deep listening suggests we increase the possibility for wisdom when we are fully present for others, when we listen beyond just the words to the hopes, fears, possibilities, and aspirations embodied in the other person. When I can listen like that, there is such personal joy. There is also the possibility that something new will be said because in the experience of being heard, we abandon the usual scripts used to keep us safe. We allow emergent ideas to come forward. The second stance, Suspension of Certainty, assumes that listening in this way can be unsettling; we will hear things that are unfamiliar or that seem strange or even threatening. The commitment of the second stance is to suspend certainty in the face of this fear. We remind ourselves to reflect on our own assumptions rather than attack others and to inquire with others into what is unfamiliar or different. This naturally leads to more information about the larger system we are in and is captured in the third stance of Seeing Whole Systems/Seeking Diverse Perpectives. We must go beyond simple agreement to explore diverse perspectives and divergent views. The fourth stance is Respect for Others/Group Discernment which is like sifting sand looking for gold. We remind ourselves to respect all the views but not to fall into the trap that agreement alone is our goal. We are attempting to find the true wisdom of the group. And then, as we go deeper we inevitably come up against the unexpected and sometimes disturbing aspects of groups. Welcoming All That is Arising is the fifth stance and it is meant to remind us that we do not control the process or that we have failed because we have not initially achieved our outcome. With this stance come resilience and the ability to summon up hope. We reach a point where we Trust in the Transcendent, which as the sixth stance demonstrates a respect for human agency and the larger natural and spiritual forces that surround our activities. All the stances we discuss are drawn from actual historical examples that give each a richness and reveal a larger pattern to group activity. We are co-creators of our reality. All the stances we discuss are drawn from actual historical examples that give them a richness and reveal a larger pattern to group activity. We are co-creators of our reality. Morris: In the next chapter, you and your co-authors explain how our internal perspectives and external experiences constitute a worldview. Presumably if an individual combines her or his internal perspectives and external experiences with those that others possess, the result will be some form of collective wisdom or at least tap into what is characterized as “a larger collective consciousness.” Is that in fact true? Brisk in: Truth, like beauty, is in the eye of the beholder. What I can say is that we have seen how a process of genuine engagement creates a connection among members that translates to greater understanding. One example I would point to was a group that formed in Massachusetts concerned with polarization involving the issue of abortion and the fear of violence arising in their community. Secretly, senior representative from both sides of the issue began meeting but did not speak publicly about it for many years. What they eventually reported was extremely difficult conversations that did not change anyone’s mind on the general issues. However, they became closer, showing up at each other’s personal functions and watching each other’s back when things heated up. They succeeded in withdrawing their demonizing attitudes toward each other and contributed to a more civil attitude in their respective organizational roles. So my answer to the question of achieving collective consciousness is a careful yes if we say that it is a heightened ability see more of the whole and to deal better with complexity without resorting to simple solutions or extreme positions. We can include the worldview of others and hold our own worldview more lightly. Briskin: I think that is an excellent point. The reliability of the group is dependent on each of us and when any one of us is not reliable, the group is in jeopardy. I met a man whose response to the phrase “collective wisdom” was that it must be an oxymoron – the larger the group, the less wisdom there is. The philosopher Johann Wolfgang Goethe captures the feeling with his character of Faust declaring “my head’s near splitting… I seem to hear a whole, great chorus, A hundred thousand idiots speaking.” We need to remind ourselves that a hundred thousand idiots will not constitute a single intelligent person. Our characterization of collective folly is that sound judgment is not feasible when there is forced or false agreement in groups. We also show how group polarization sets the stage for risky and even dangerous decisions to be made. How we navigate between false (shallow) agreement and polarization is the kind of mastery that collective wisdom represents. As a quick aside, the Greek origins of the word “idiot” referred to individuals who did their own individual thing and dismissed the need for genuine civic participation – for collective wisdom. Socrates, on the other hand, was a master at tweaking the conventional wisdom and pushing for something more thoughtful. He was called the wisest by the Delphic oracle – in part because he admitted his lack of knowledge and believed in critical thinking and inquiry. Morris: In this context, I am reminded of Plato’s Allegory of the Cave in The Republic. Those whom he portrays as a group are huddled together watching shadows on the wall, believing them to be ultimate realities when, in fact, they are incomplete representations of reality or even distortions of those realities. Is this an apt analogy to what you and your co-authors mean by “folly”? Briskin: That’s wonderful. The image is a great reminder how we create our world through interpretations made up of language and symbols. Our language and symbols are always incomplete versions of a greater reality. Here is why inquiry is such a powerful tool when compared to simple advocacy. Inquiry allows us to discover what might be outside the cave instead of arguing about the shadows on the wall. Morris: Those who have not as yet read The Power of Collective Wisdom, especially those who are results-driven business leaders, may wonder how “practical” its insights and recommendations are. Here’s a situation not mentioned in the book that, in my opinion, addresses that concern. Presumably you agree with me that the companies that are annually ranked among the most highly admired, best to work for, etc. all have fire watchers who protect the collective wisdom of their culture. Briskin: In my own organizational work, I learned that all innovations needed a champion to protect the genuine value of the innovation, what Kelleher is calling fire, but it is an inner fire. I don’t know about a committee but I agree that there must be constant reinforcement among the members of a group for genuine core values to be lived and not just talked about. Morris: Near the conclusion of your book, you and your co-authors observe that collective wisdom as a field of study and practice “is at the beginning of a very long learning curve – but one that has tremendous vitality and moral imagination.” In your opinion, what are the specific sources of nourishment for the vitality and imagination to which that observation refers? Briskin: That’s a great question and one I want to toss back to everyone who has read this far. What is the fuel that nourishes a group? What algorithm of personal attention and group focus is needed? How do we cultivate leaders who reach out to others? How do we as members of a group face the unknown with curiosity and confidence that the wisdom is among us? How do we renew ourselves and each other? We end the book with a reflection about this final question, a story about taking progressive sips from an elixir that reminds us of our potential for collective wisdom. With the fifth sip, we become aware that we are not as alone as we thought and in fact are deeply interconnected with others and the planet. This creates a feeling of safety and a yearning to use our imagination on behalf of healing and creation. Briskin: It is one of my favorite sayings. And execution without vision is sure death.